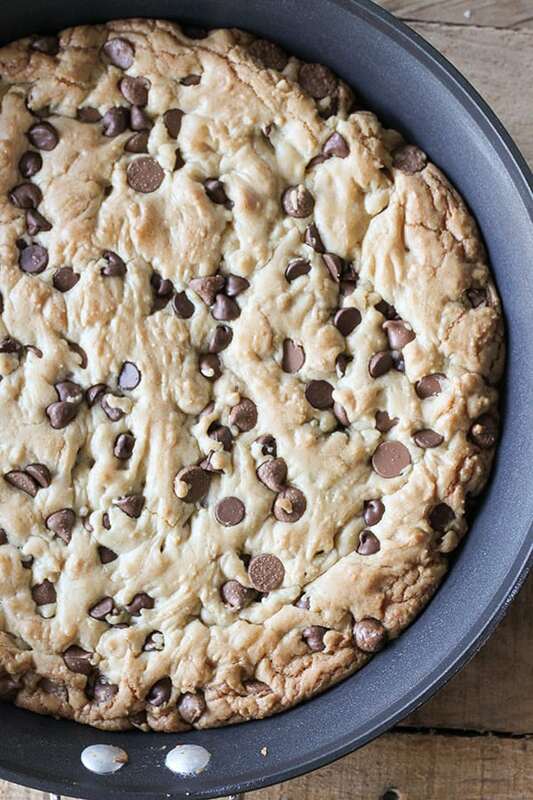 This One-Pan Skillet Chocolate Chip Cookie is now my favorite way to make chocolate chip cookies. 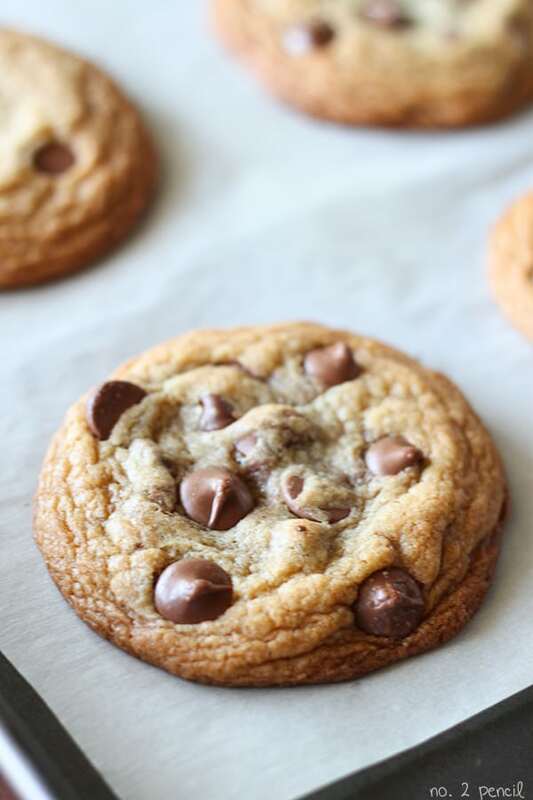 It’s just so quick and easy, no mixing bowls, no stand mixer to clean, and you can have a giant homemade chocolate chip cookie in less than thirty minutes. The edges are a bit golden and chewy and the center is soft gooey molten chocolate goodness. 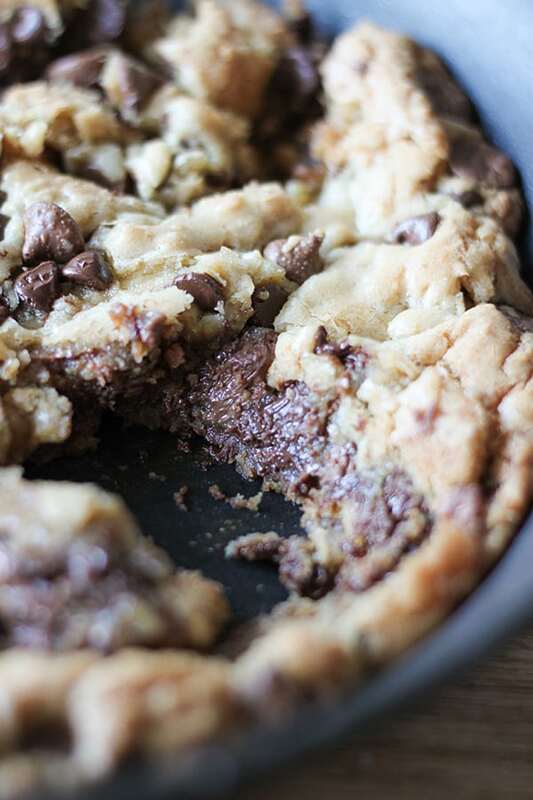 Now skillet cookies aren’t really a new idea, but I love this idea of making it a one-pan recipe. So the only thing you have to clean is the skillet, the wooden spoon and a few measuring cups and spoons. I’ve always used a seperate bowl for the flour and baking soda, melted the butter in a smaller bowl, then combined everything in my stand mixer. One day it occurred to me that I might be able to mix everything by hand in my non stick skillet. 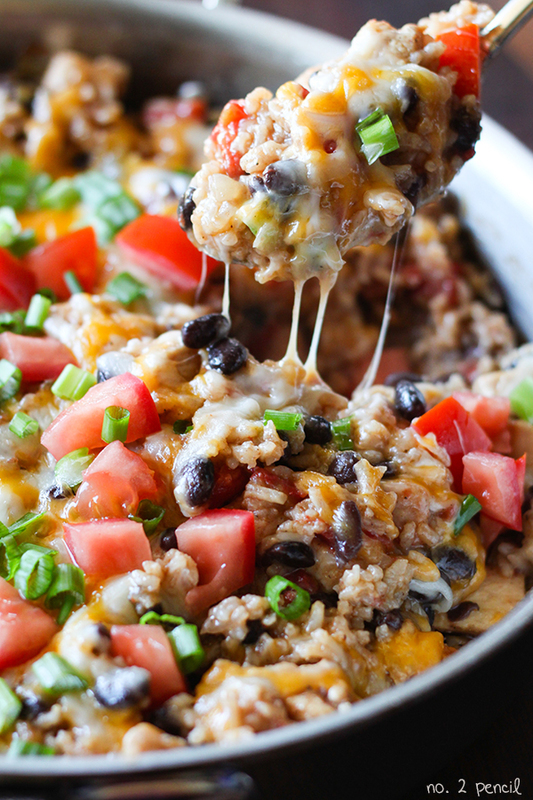 It works like a charm, and I have made this one-pan recipe dozens of times now. I love it when a plan comes together! 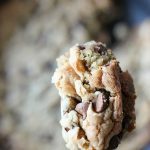 If you love one-pot recipes as much as I do, you can find all my one-pot meals here and all of my cookie recipes here. Start by melting the butter in a 12-inch non stick oven safe pan over medium heat. 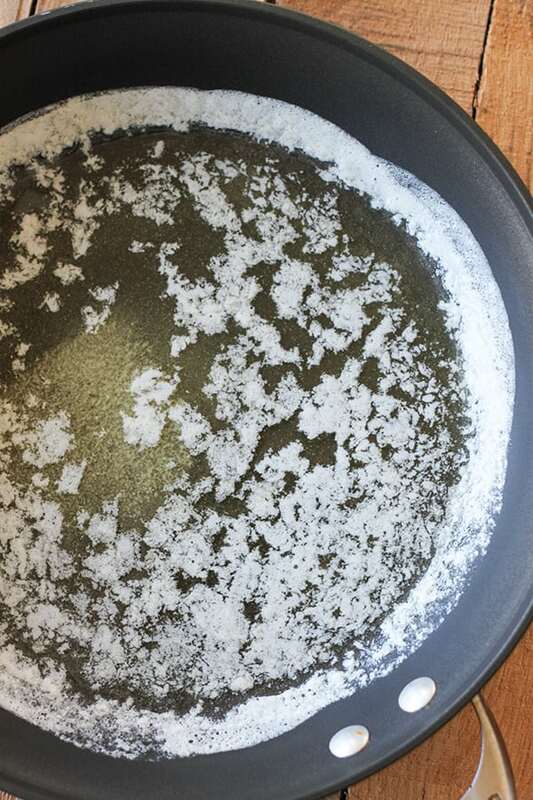 Remove the pan from the heat and stir in sugars, vanilla and salt. Make sure you use a wooden spoon so you don’t scratch the pan when stirring. Once the sugar and butter mixture is well combined, the pan and mixture will be cool enough to stir in the eggs. Add flour and baking soda and stir until the flour is all incorporated. Now, we are ready for the chocolate chips. I go all out with two cups of chocolate chips, one cup of milk chocolate and one cup of semi-sweet. The combination of chocolates really gives the cookie another delicious layer of flavors. 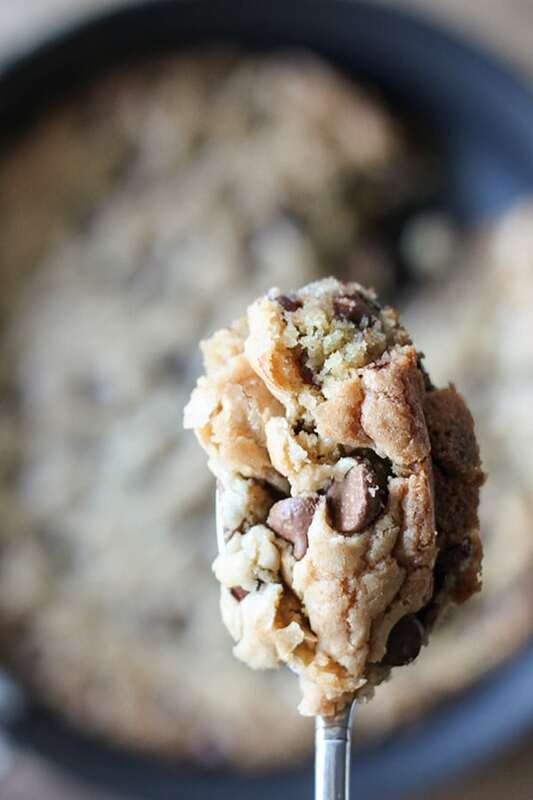 Try not to eat all the cookie dough at this point:0) Instead, use the spoon to spread it evenly in the skillet. Bake for 15-18 minutes depending on the oven. The center will still be soft, so don’t over bake. It will continue cooking as it cools. The edges will be chewy and the center soft and chocolatey. In a 12 inch non stick, oven safe skillet, melt butter over medium heat. Remove from heat and stir in sugar, salt and vanilla. Once sugar and butter is well combined, stir in egg and egg yolk. 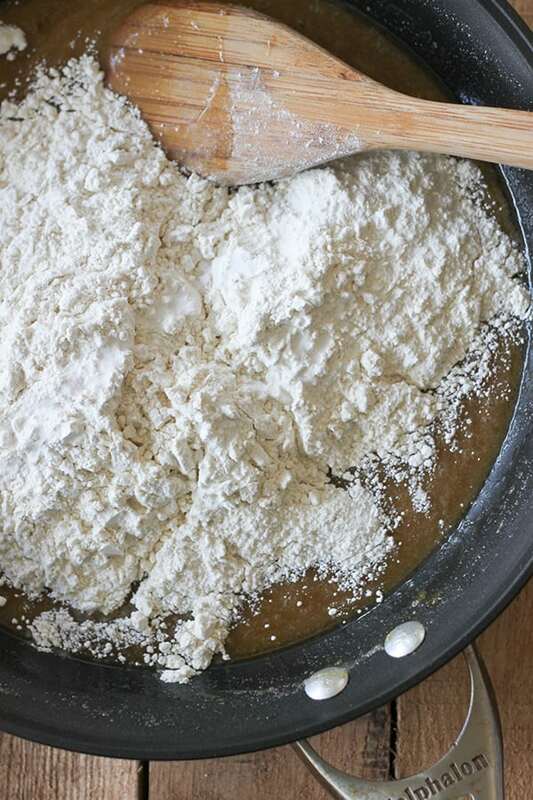 Add flour and baking soda and mix until all flour in incorporated. 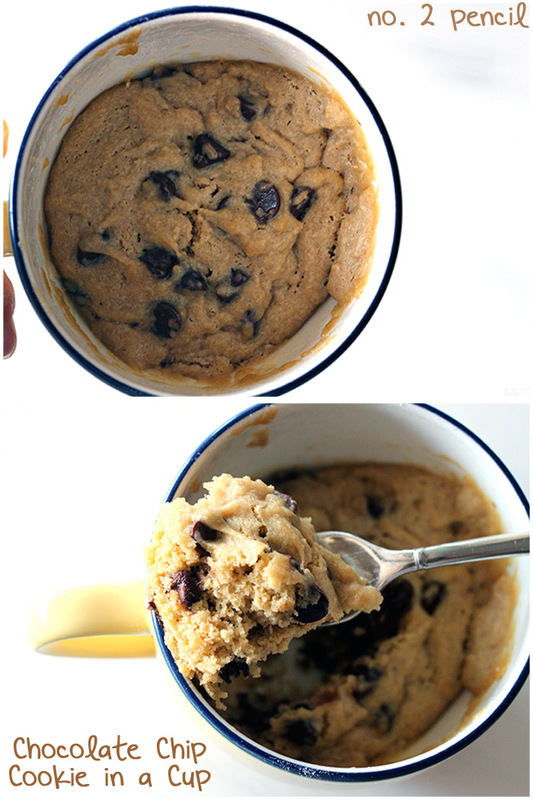 Stir in chocolate chips and spread cookie dough evenly in the skillet. Bake for 15-18 minutes on middle rack, until edges are a light golden brown. Do not over bake as cookie will continue to cook as it cools. Holy cow- Melissa!!!! 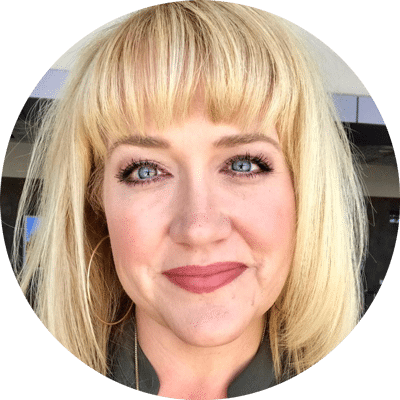 WOW – you have out done yourself. I must try this. You are too sweet, Gina! Thank you! This worked great! And I’m writing to you from Colorado – where home baked goods go to die due to high altitude! I made it last night for my son’s birthday since he’s not a cake-fan. 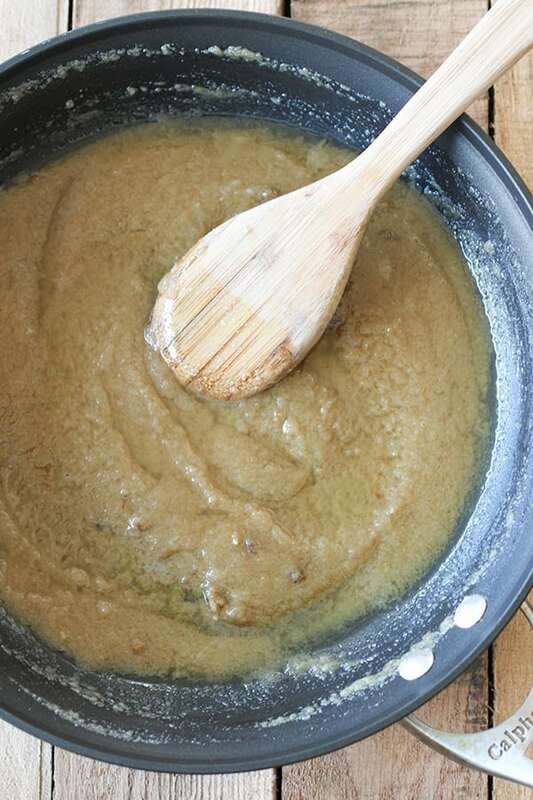 One thing that might be worth noting is that the dough looks darker and wet even when the flour and baking soda are mixed in because the butter is melted and warm. I added a little extra flour to accommodate for altitude and we were really pleased with the end result! 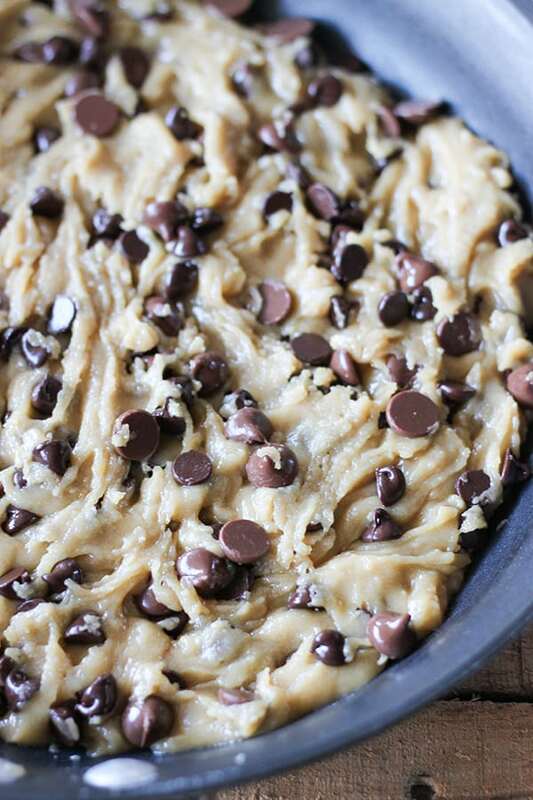 How do you remove the cookie from the pan? Hi! It’s a non stick pan, so you can just slide or scoop it out.